reading, how to market the library, and useful Web sites. Collection development is covered with practical advice on using book reviewing journals to aid in selection. Storytimes have been in libraries more than 100 years, and instructions in how to provide this vital and essential service is covered in a "how to" of doing storytimes for babies. toddlers, preschoolers, and families to make them fun and exciting. Programming includes library tours by school groups, author visits, and entertainment programs with emphasis on summer reading programs. Tips are given for ensuring that children with physical disabilities as well as developmental or learning disabilities are included in services offered. Finally, suggestions cover how to meet the challenges in services to children based on the changing dynamic of families and communities. This experienced children's librarian shares her ideas, experiences, and Web sites, information useful to build a children's program for the smallest public library. The practical advice will be very useful to help the novice or volunteer learn how to answer reference questions, provide homework help for students who come after school, select age appropriate materials, and prepare book sharing sessions with children from birth to age 12. Readers Advisory services described here may be as important for parents as for the children. 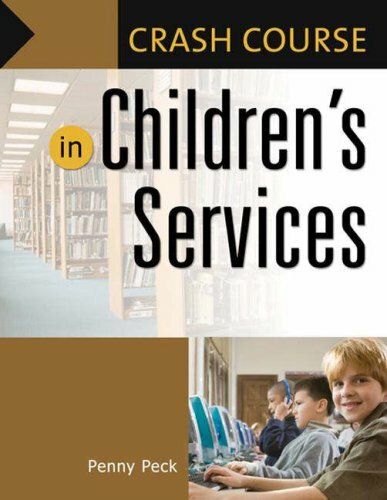 Understanding the issues and challenges to children's services discussed here will be useful to help librarians counter them.